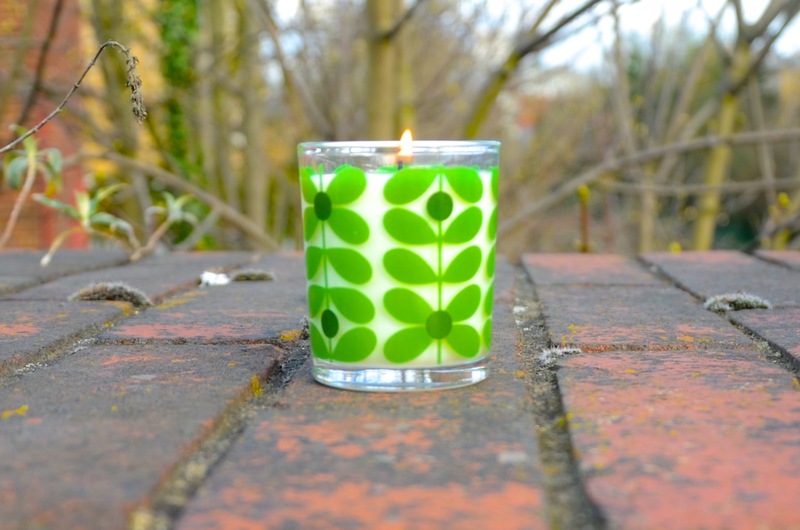 It's hard to imaging a candle that could look more appropriate for Spring than this beauty featuring Orla Kiely's recognizable signature leaf print in fresh green. With clean notes of fresh basil and mint blended together with essential oils of carraway, may chang and lemon peel, this candle smells beautiful. The aroma is crisp, fresh and relaxing, perfect for any room or office. If you're not into floral or citrus scents, I'd say this is the perfect Spring & Summer candle for you. It's quite light and not at all overwhelming... It doesn't hurt that it's super cute to look at too and when it burns out, you're left with this adorable little jar to repurpose as you choose. This candle is the perfect gift as well and I'd be tempted to keep a few on-hand, wrapped up with bows to give as gifts when occasions arise. Who wouldn't love a beautifully designed candle that smells like a heavenly herb garden? The Orla Kiely Basil and Mint Scented Candle (200g) is £25 and available online via www.orlakiely.com.